A friend of mine texted me this query earlier today, which made me realize how lots of us struggle to move our data between PC and iPhone freely. After a quick search, I could see lots of readers asking how to transfer videos from computer to iPhone. 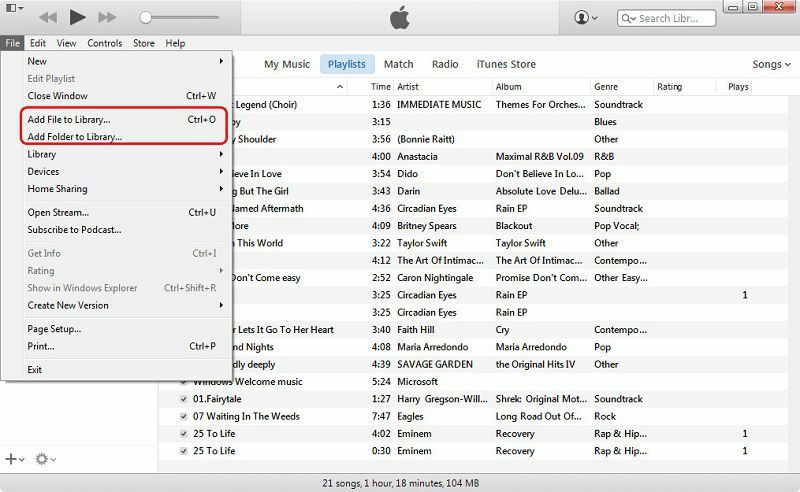 It might surprise you – but there are numerous ways to do this, both with and without iTunes. In this guide, we will teach how to transfer videos from PC to iPhone without iTunes and with it. Let’s get it started with and learn more about these solutions in detail. Part 1: How to transfer videos from computer to iPhone with iTunes? Part 2: How to transfer videos from PC to iPhone without iTunes using dr.fone? Part 3: How to transfer videos from PC to iPhone without iTunes using Dropbox? If you have been using your iOS device for a while, then you must already be familiar with iTunes. Developed by Apple, it is a freely available solution to manage an iOS device. 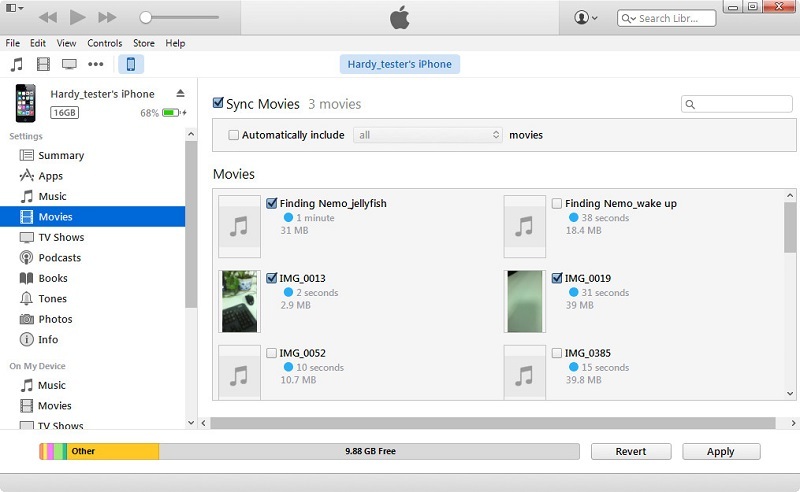 It can help you sync your music, photos, contacts, and different kinds of other data files. Similarly, iTunes can also be used to transfer videos from PC to iPhone. Though, you should use an updated version of iTunes that is compatible with your device. 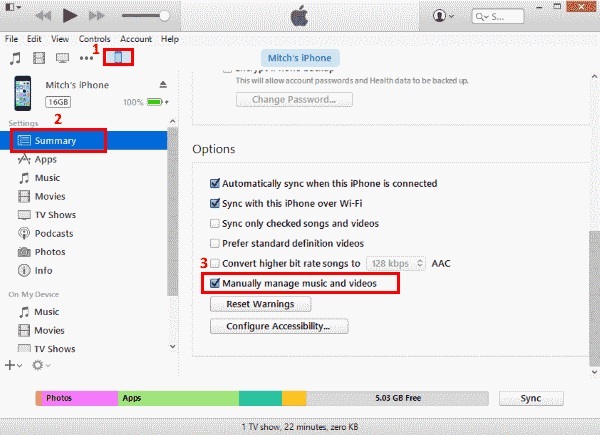 Afterward, you can follow these steps to learn how to transfer videos from computer to iPhone. 1. Launch iTunes on your system and connect your iPhone to it using an authentic cable. Once your iPhone is detected, select it from Devices to proceed. 2. Go to its Summary tab and visit its Options. From here, you need to turn on the option of “Manually manage music and videos”. Click on the “Apply” button to save your changes. 3. Now, go to the “File” option from iTunes menu and select the “Add Files to Library” option. To add an entire folder, click on “Add Folder to Library”. 4. This will launch a browser window. From here you can manually select the videos that you wish to transfer to your device. 5. Select your phone and go to the Movies tab from the left panel. Enable the option of “Sync Movies” and choose the files that you wish to move. 6. In the end, just click on the Apply button to transfer video from PC to iPhone. As you can see, it can be a little complicated to learn how to transfer videos from PC to iPhone using iTunes. 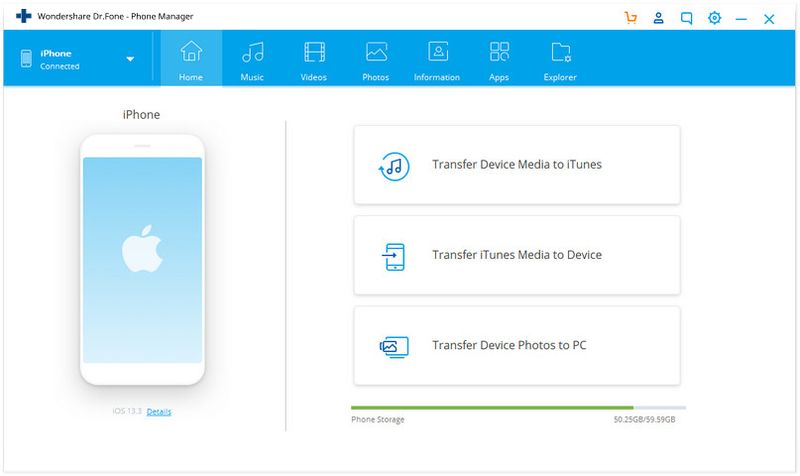 If you are looking for a hassle-free solution to directly transfer video from PC to iPhone, then try dr.fone - Transfer (iOS). 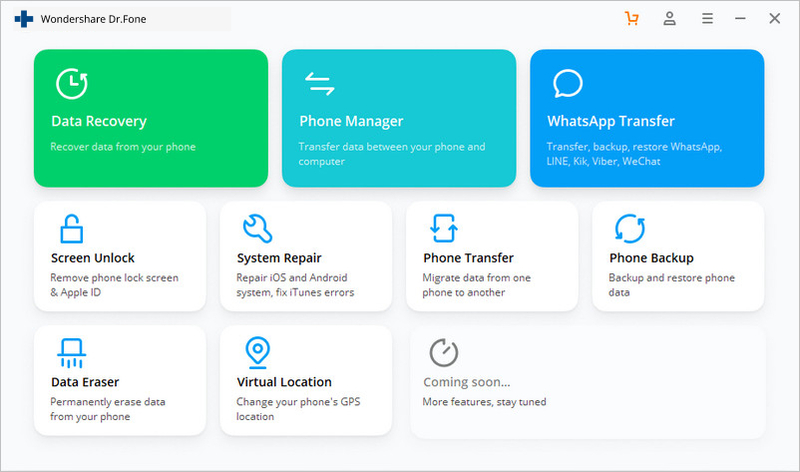 It is a part of the dr.fone toolkit and will make it easier for you to import, export, and manage your data. 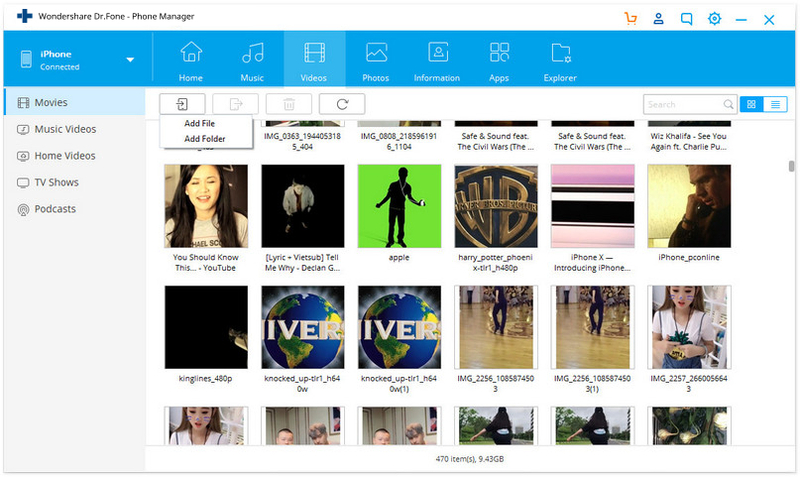 You can transfer your photos, music, videos, contacts, messages, etc. between computer and iPhone directly. Furthermore, you can even manage iTunes media without using iTunes, as a lot of users find it overly complicated. dr.fone - Transfer (iOS) has a user-friendly and intuitive interface with a free trial version available. It works with every major iOS device like iPhone, iPad, and iPod Touch with full compatibility with iOS 11. If you wish to learn how to transfer videos from PC to iPhone without iTunes, then follow these simple instructions. 1. To start with, install dr.fone on your Mac or Windows PC and launch it. Select the “Transfer” module from the home screen to commence the process. 2. Connect your iPhone to the system using an authentic cable. If you get the “Trust This Computer” prompt, then simply accept it by tapping the “Trust” option. 3. In no time, your iPhone would automatically be detected by the application. Now, instead of choosing any shortcut, go to the Videos tab. 4. This will display all the videos that are already stored on your devices. They will further be divided into different categories that you can visit from the left panel. 5. To transfer video from PC to iPhone, go to the Import option from the toolbar. From here, you can choose to import a file or an entire folder. 6. Just click on either “Add File” or “Add Folder” option to launch a browser window. Simply go to the location where your videos are saved and open them. 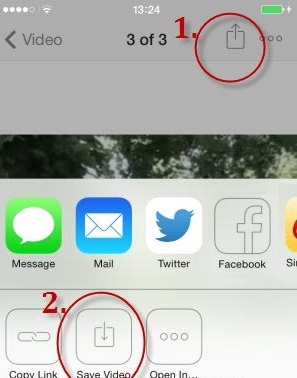 In this way, your selected videos will automatically be moved to your iPhone. That’s it! By following this simple approach, you can learn how to transfer videos from computer to iPhone directly. With dr.fone - Transfer (iOS), you can directly move your data between computer and iPhone. Though, if you wish to learn how to transfer videos from PC to iPhone over the air, then you can use Dropbox. Even though this will transfer your data wirelessly, it would take more time than dr.fone Transfer. 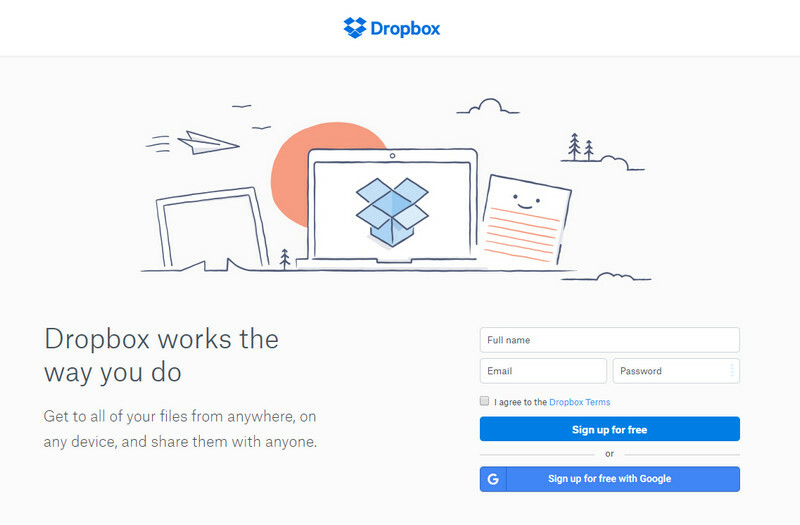 Additionally, every user only gets a limited amount of space for free on Dropbox. 1. Firstly, visit www.dropbox.com and log-in with your account details. If you don’t have an account, then you can also create a new one. 2. After logging-in, you can create a new folder or add a file by clicking on the “+” icon. 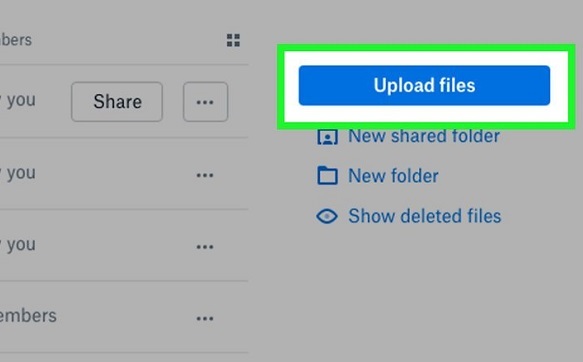 We recommend creating a new folder and then clicking on the “Upload File” button. This will open a browser window from where you can upload your videos. If you want, you can also drag and drop the videos you wish to save to Dropbox. 3. Now all you need to do is launch the Dropbox app on your iPhone and visit the same folder. If you don’t have the app, then get it from App Store. 4. Simply select the video and save it on your device. By following these three methods, you can easily learn how to transfer videos from PC to iPhone in different ways. If you are looking for a free solution then try iTunes and if you wish to transfer video from PC to iPhone over the air, then go with Dropbox. Though, if you want to have a trouble-free, fast, and easy experience, then get dr.fone - Transfer. It is certainly the best way to learn how to transfer videos from computer to iPhone. Besides videos, you can manage all the other important data types on your device as well, which makes it a must-have tool for every iOS user. Read this ultimate guide to learn how to share contacts on iPhone. 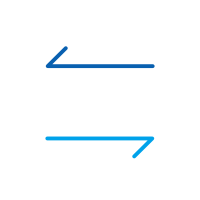 We have listed 5 stepwise tutorials to share contacts iPhone through different ways. Do you Want to upload music from iPhone, iPad, or iPod to Google Music with Music Manager? Here is an easy way to do it.